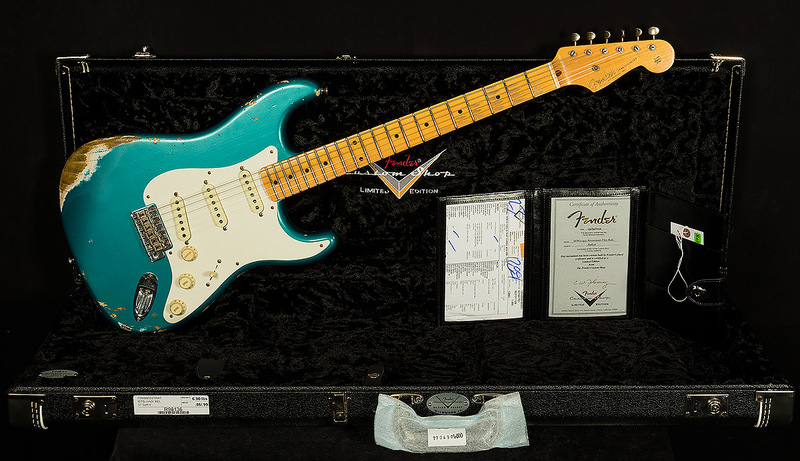 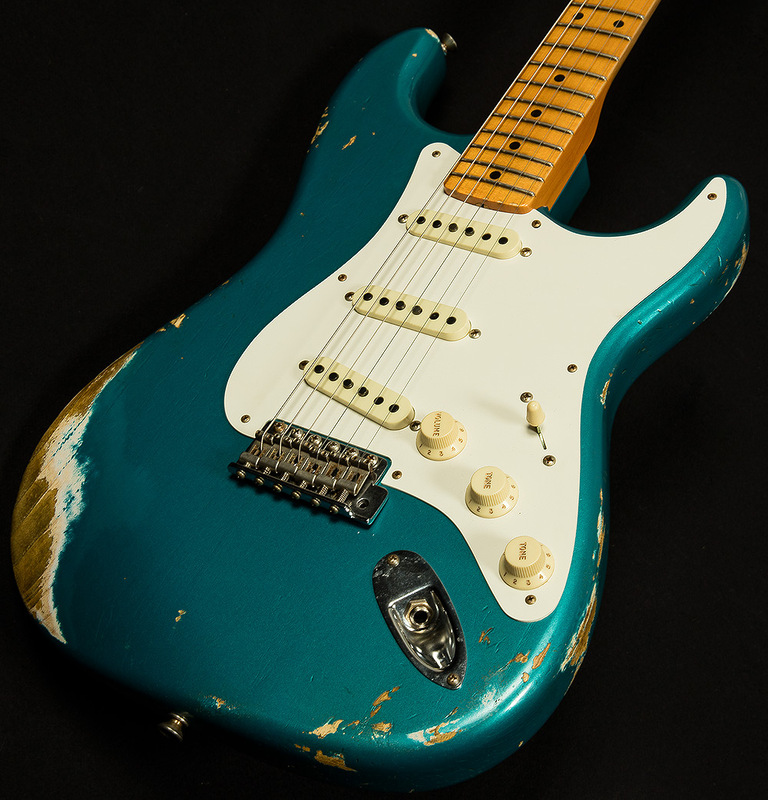 This Ocean Turquoise Stratocaster presents a veritable sea of delightful tones to get lost in. 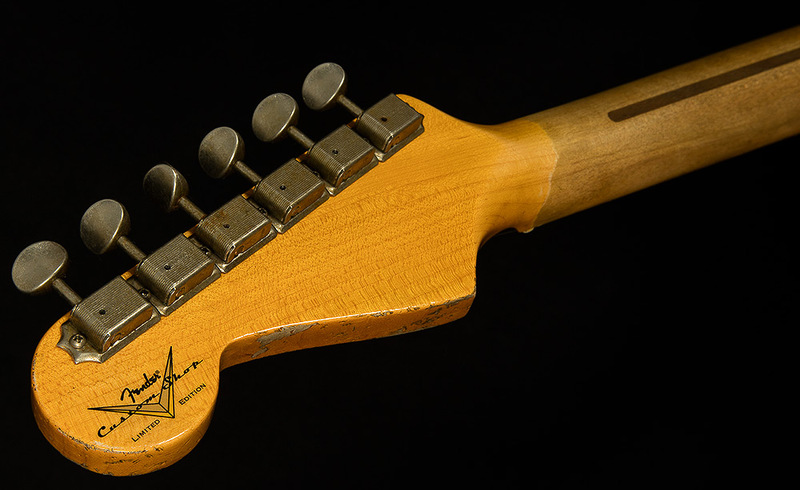 It responds to your touch quite quickly, and the attack has a woody, percussive quality. 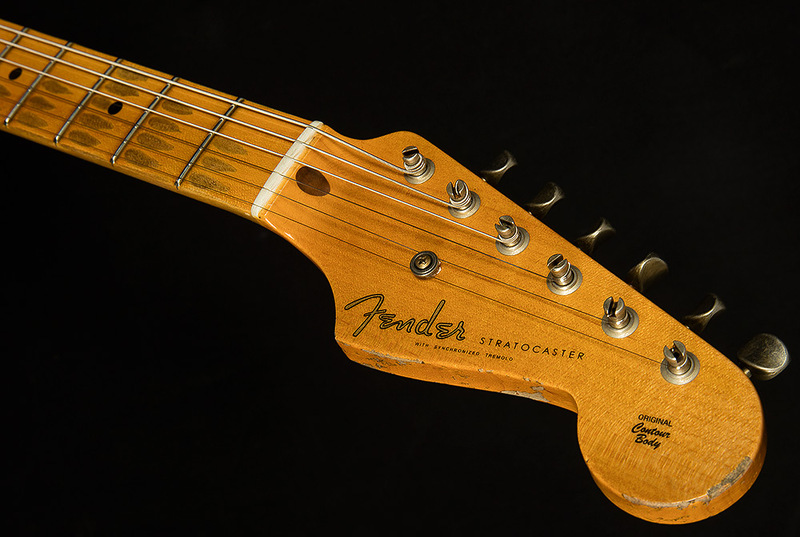 Overall, it has a warm, open, sweet sound. 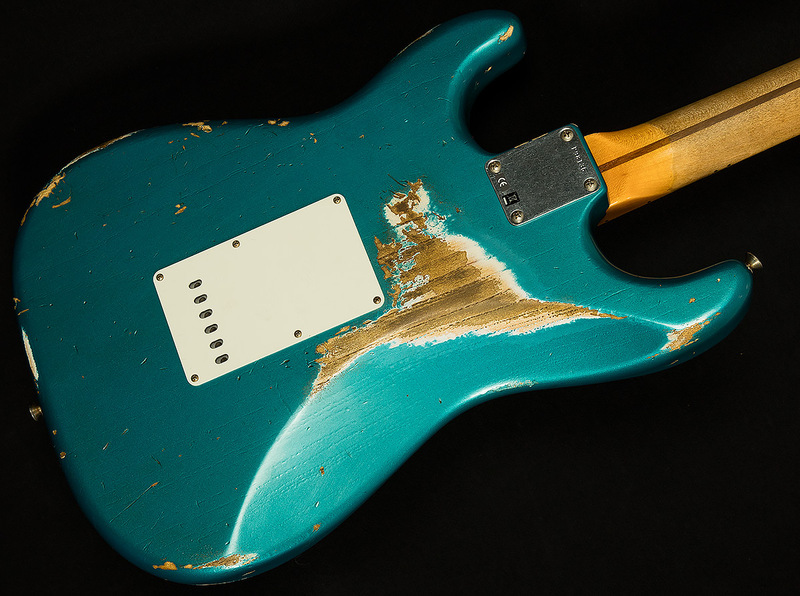 The lows are tight, the mids are punchy, and the highs are quite touch-sensitive (when you hit hard, especially in the bridge position, you get a nice bell-like clang, but when you play softly they sound glassy and smooth). 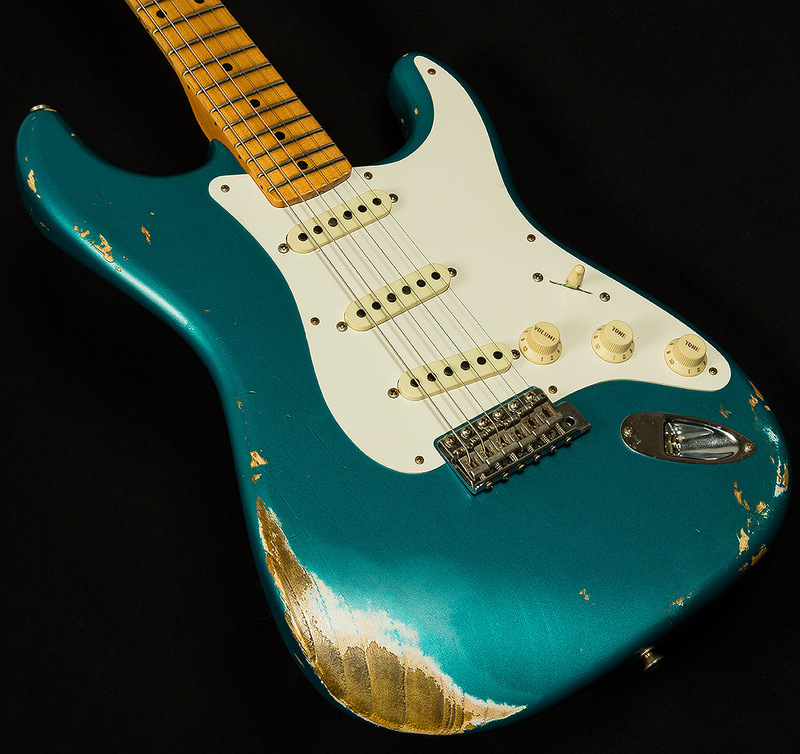 Anyone looking for an articulate, warm, punchy Strat will love this serial.